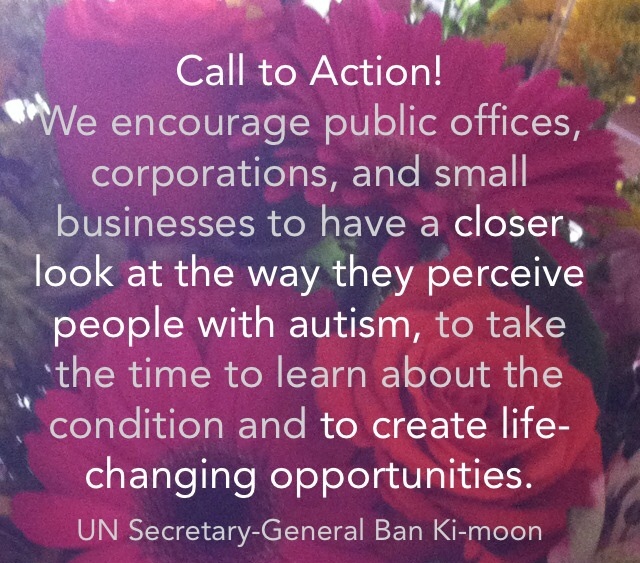 Today, the United Nations has launched a “Call to Action” encouraging business leaders and employers to make a commitment to offering employment opportunities to autistic people. You can download the PDF version of this Call to Action here. The event in New York today highlighted the benefits of hiring people on the spectrum and the ways businesses can create work environments in which all of their employees can thrive. The morning offered presentations by business leaders, autistic employees, and innovative entrepreneurs – including Thomas D’Eri, the co-founder of Rising Tide Car Wash in Florida, a business established to provide employment for young adults with autism and designed with their unique needs and skill sets in mind. Recently, I have been intrigued by several stories like Rising Tide’s – organizations and businesses around the world that have made it their mission to create employment opportunities for adults with special needs. Of course, these efforts have become increasingly of interest to us as we begin to visualize life after high school for our son. Although the Autism Awareness campaigns spread across the Internet and media this month will tend to focus on early intervention, detection, and educational interventions, it’s important to remember that children with autism grow up. I was pleased to see the UN’s focus on employment this year. Autistic adults share the universal need for gainful employment and a desire to create meaningful and fulfilling lives for themselves. 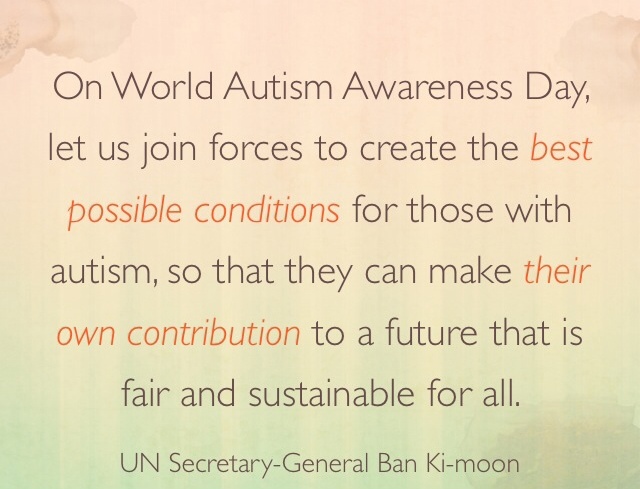 In keeping with “Autism Awareness/Acceptance Month,” I hope to give some “shout outs” in the coming weeks to organizations that celebrate and support autistic adults, in my own community and around the world. 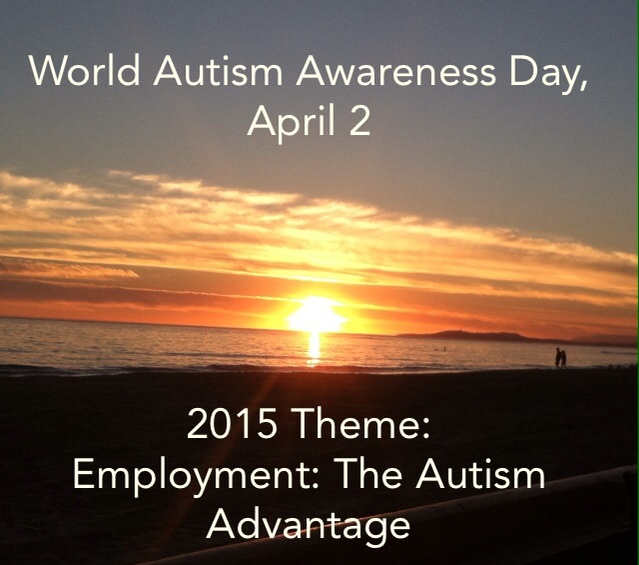 Many of these link directly to the UN’s focus on the “Autism Advantage” by recognizing the positive aspects that autistic employees can bring to a work setting, and by providing vocational training, skill building, and employment opportunities. Throughout April – on this blog and on the Stay Quirky Facebook page – I will share some of the businesses I’ve found that are making a difference with creative and inclusive workplace options. My reality check is this: At the present time, it is difficult to imagine what type of job or work program would match my son’s current abilities and interests. Some days, the gap between what he can (or will) do and what he would need to do to be successful in a job seems very, very wide. But, I am able to hold a vision of a productive future for him because of initiatives like this – and because of organizations that share a fundamental belief in my son’s ability to bridge that gap, even if it takes a few more years to get there. I am inspired when I hear about companies who have recognized the benefits of hiring employees with special needs and who are actively creating spaces where young adults like my son can feel welcomed and valued. Places where they are respected and encouraged to make their own important contributions to the world. Please share with me any businesses or agencies that you’ve heard of that embrace the “Autism Advantage” – I would love to hear about them!